The Greeks gave us democracy, organized sports and the rule of law but it was their invention of philanthropy that was celebrated and upheld at the Hellenic Community of Ottawa’s 32nd annual Gold Plate Dinner (GPD), a sold-out benefit that attracted movers and shakers from the local real estate development industry. 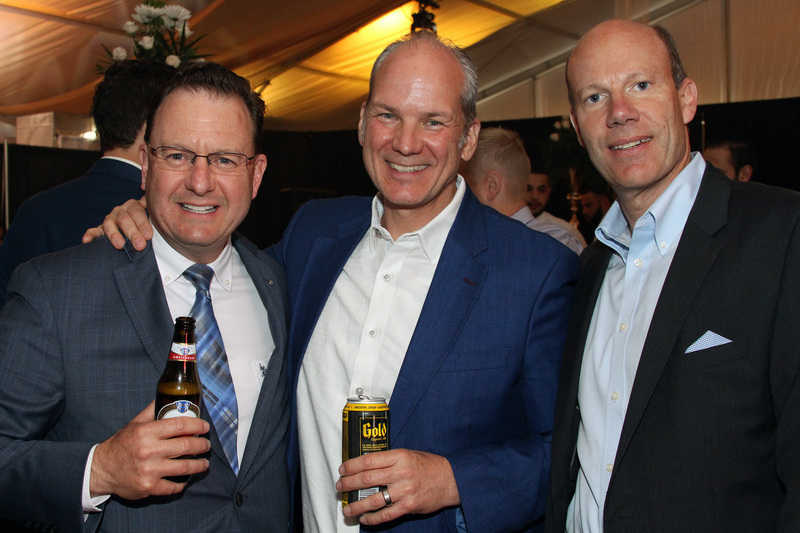 The $500-a-ticket night saw Aik Aliferis and Nick Pantieras, both partners at Primecorp Commercial Realty, step up to chair the signature event, which was previously led for three decades by its now-honourary chair, Steve Ramphos, president of District Realty. The high-end benefit, held Tuesday, grossed roughly $420,000 in total, in support of the Hellenic Community of Ottawa and the Queensway Carleton Hospital Foundation’s $5-million mental health campaign. The evening paid tribute to the late Peter Foustanellas, founder and owner of premiere sponsors Argos Carpets and Olympia Homes. The successful businessman, father of four sons and grandfather of 10 came from humble beginnings, having immigrated to Canada from Greece in 1967. He passed away May 24 at age 70. Regular attendees of the dinner, held at the Hellenic Meeting and Reception Centre, will remember how Foustanellas made GPD fundraising history in 2015 when he volunteered to match every $5,000 charitable donation given that night. Above all, Foustanellas had a big heart, said Ramphos. “Although it was not in good health, I think he had the biggest heart of anybody known to me. He was the definition of philanthropy, giving generously to many causes. Guests were entertained over dinner by Ottawa-raised comic Angelo Tsarouchas and some beautiful bouzouki playing by Tony Pantieras, brother to Nick Pantieras (they’re both musicians in the band Poseidon). 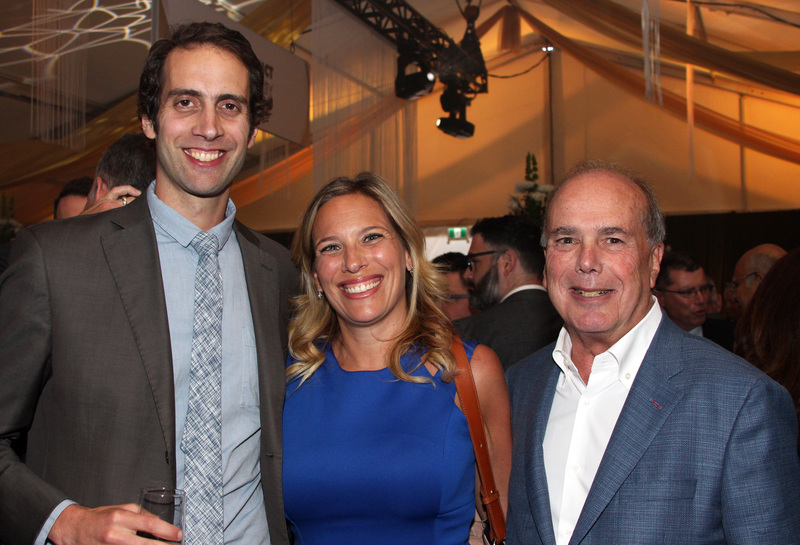 Majic 100 radio personalities Angie Poirier and Jeff Hopper filled the very big shoes of their out-of-town colleague ‘Stuntman’ Stu Schwartz, who's usually the event host. A trip to New York for eight on a private jet, with dinner, sold for $18,000 during the live auction. A dinner for 10 catered by Giovanni’s Restaurant went for $5,500 while a backyard Greek BBQ brought in $6,000. Another $3,750 was raised from a catered dinner for 12 by EVOO Greek Kitchen. Always exciting is the $30,000-reverse elimination draw, supervised by Ernst & Young’s Ottawa tax practice market leader Ian Sherman. It pulls 20 ticket-holders up on stage. The group either unanimously agrees to split the money or risk having one of their names pulled from the lottery drum, followed by the traditional audience cheer of "Exo" (a polite Greek alternative to "Get off the stage!"). If only one contestant is left, he or she can take the $30K or opt for a new Mercedes-Benz luxury car from Star Motors. This year, the remaining five contestants chose to take the cash and donate half of their winnings back. The evening continued late into the evening with a dessert reception, back in the tent, and more entertainment from DJ Katrella and Karl Wolf. Steve Klein, founder and CEO of Marketing Breakthrough, was back to produce the event. Other faces seen in the crowd included Bill Malhotra from Claridge Homes, Queensway Carleton Hospital president and CEO Tom Schonberg and its foundation president, Melanie Adams, and some of her board members, including past chair Alan Whitten, president of Huntington Properties. Hellenic Community president Tony Georgiou attended, as did its popular spiritual leader, Father Alex Michalopulos, who opened up the evening nicely with a good joke.